When we were on our 21 day fix(recap painstaking detailed here), I all but broke the internet trying to switch up our meal plan a bit. This has to be one of my very favourite recipes that I found on the Beachbody blog and amended to add even more veggies and make my own. 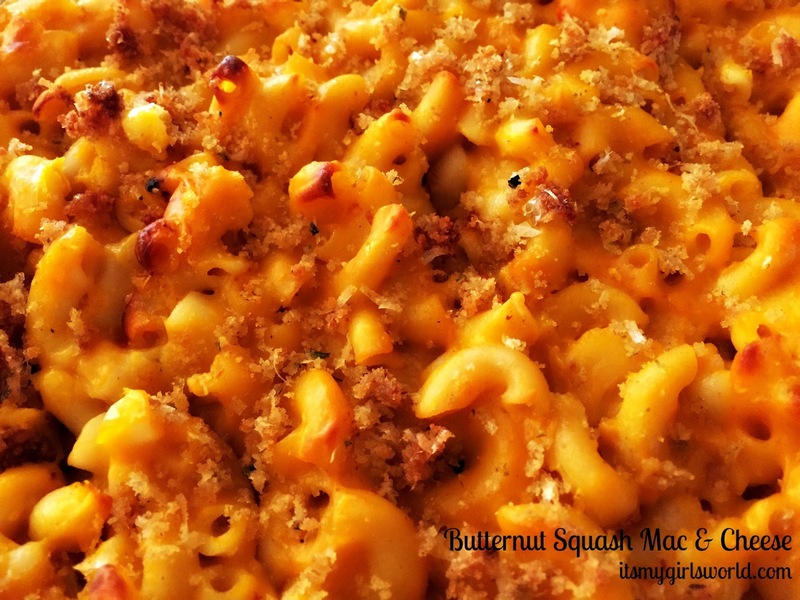 (maybe, just making, they didn't make a parm/breadcrumb topping) Butternut squash is always a favourite in our house and this recipe was a hit all around! 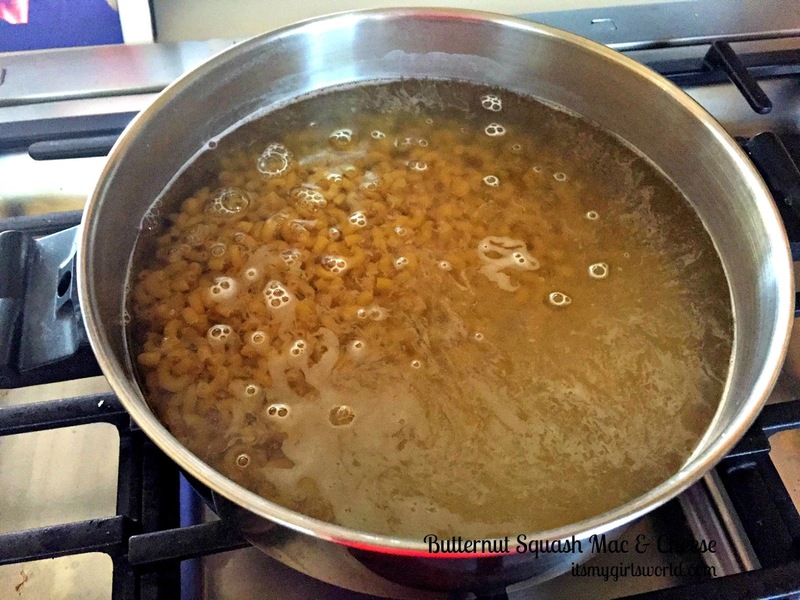 1- Boil pasta according to package directions. 2- Finely chop the onion, celery, bell peppers and carrots. I used my mini-chopper. 3- Heat oil in a non-stick pan and added chopped veggies. 4- After 2 minutes, add butternut squash (I steamed my squash for a bit in the microwave to soften before I cubed). Cook for 5 minutes. 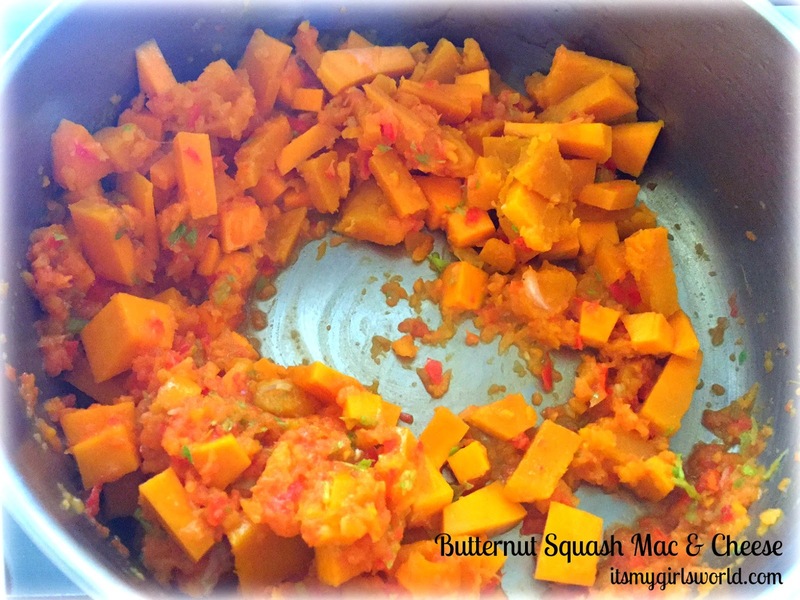 5- Add milk, nutmeg, salt and vegetable stock and let simmer until squash is tender to the touch (softens with a spoon). Mine took about 15 minutes. 6- Put mixture into a blender or food processor and blend until smooth. 7- Return to pan (but with heat off), add cheese, yogurt and mustard. 8- Place mixture into a greased/sprayed 13 x 9 pan. 9- Mix the olive oil, breadcrumbs and parmesan until just combined and sprinkle to the top of the pasta. 10- Bake at 375 for 20 minutes covered (with foil), 10 minutes uncovered. My kids went crazy over it and there were requests for lunch the next day! Words can't describe the ooey gooey goodness of this pasta. First off it was a bright beautiful colour (that totally looked like KD dinners) It was so delicious, flavourful and chockful of veggies (about 8 cups in the pan). This one will be on repeat in our house! Butternut squash is a favorite of mine. I bet I would love this! Thanks for sharing. Definitely going to try this one- looks delicious! This looks delicious!! Definitely going to try it. 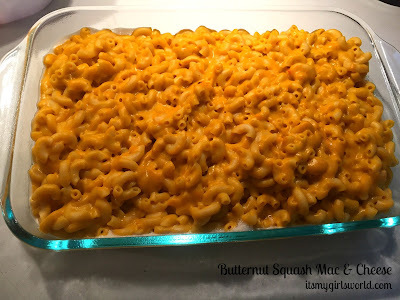 I was literally thinking the other day about how I wanted to try to make a butternut squash mac and cheese. I love the beachbody blog for great inspiration. 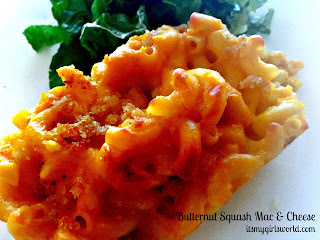 i have got to try this recipe, like real soon. This looks so good, delicious and healthy.